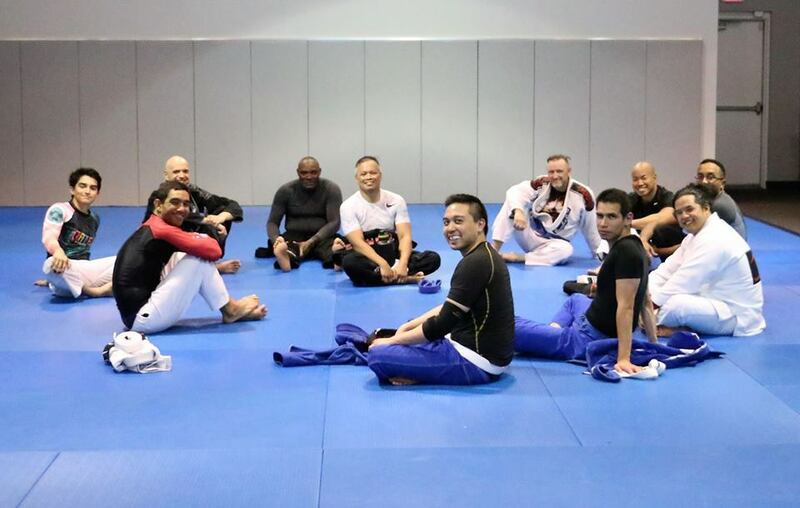 Team Passos Martial Arts and Fitness is Northern Virginia's renowned Brazilian Jiu Jitsu training facility. Team Passos offers superior quality instruction in a safe, clean, and fun atmosphere. A convenient class schedule is offered for men, women, teens and children at all skill levels and physical ability. The differentiating factor of Team Passos is its first-class Brazilian Jiu Jitsu and personalized instruction tailored to help each student reach their personal training goals. The Jiu Jitsu program is deliberately designed to challenge students to excel and fulfill their highest potential physically, mentally, and emotionally. A major aspect of the Team Passos culture is its values of teamwork, discipline, and integrity and where students helps one another succeed on and off the mat. The academy is run by Professor Tony Passos who is a third degree black belt and a distinguished world class Brazilian Jiu Jitsu coach. Tony Passos is a proud member and coach of Team Atos Jiu Jitsu. The most gratifying part of teaching and coaching Jiu Jitsu is to see students learn, reach their personal goals and be transformed through the art of Jiu Jitsu both on and off the mat. We take the time to meet with every new student to learn of their training goals. For the first few classes one of our highly experienced instructors works one-on-one with the new student to teach them the basic of Jiu Jitsu during class. If the student does not yet have a gi (uniform) we offer a loaner. Be sure to wear comfortable exercise clothes and be ready to have fun and get a good workout! Head Instructor Tony Passos is a third degree black belt and has been training Jiu Jitsu since he was 18 years old and began teaching Jiu Jitsu in 2002. Our membership pricing is a monthly rate that allows unlimited training. Our passion for the art of Jiu Jitsu and seeing it transform people's lives on and off the mat is what has motivated us all these years to teach and improve in our own training. Students of every age, skills level and ability.